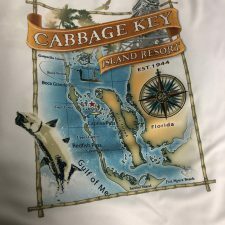 For Fort Myers, Fla.-based Bella Signs and Designs, the key to great dye-sublimation output is a high-quality transfer paper that minimizes ghosting — the shadowing effect that commonly happens during a dye-sub transfer. 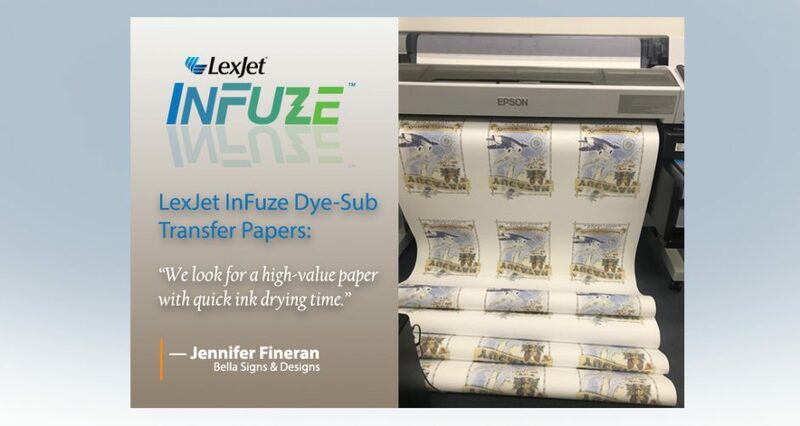 Earlier this year, we brought the dye-sublimation market four new LexJet InFuze® transfer papers created for specific applications with a microporous ink-receptive coating that provides exceptional performance. Our LexJet InFuze® Apparel Dye Sublimation Paper was just what Bella Signs and Designs was looking for. 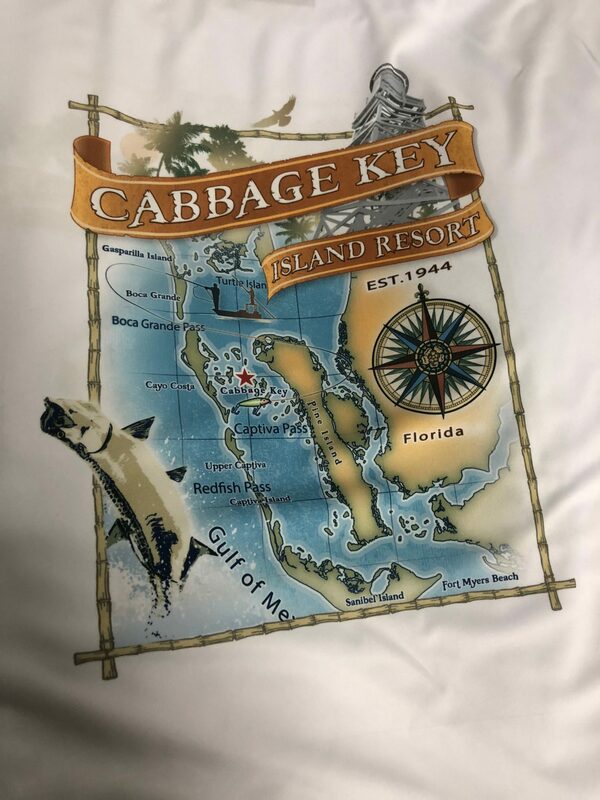 Bella uses dye-sublimation transfer technology for printing onto polyester t-shirts with Florida-centric fishing and fun-in-the-sun designs. Bella offers its customers a wide variety of digital printing services, including vehicle and boat wraps, signs of all kinds, custom apparel and promotional products. The team has used dye-sub specifically for the shirts. 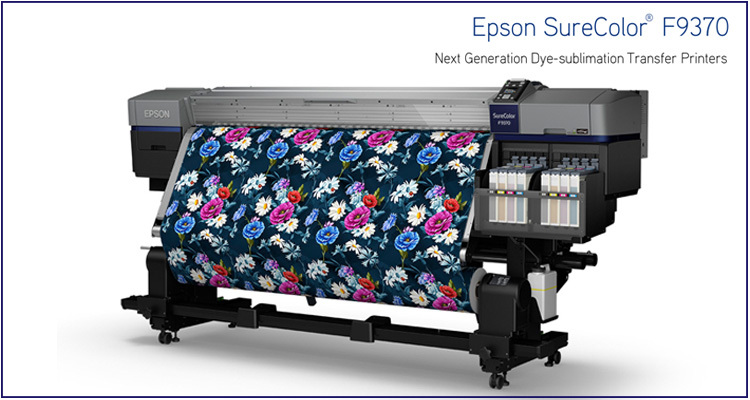 “Dye-sub is definitely becoming more and more common since it provides bright colors and a soft print that is not heavy on the shirt,” Fineran says. 2016 SGIA Recap: Print Everything! Our team at the SGIA Expo met with hundreds of attendees at the Las Vegas Convention Center earlier this month. It was a lively show covering 272,700 square feet (the largest in SGIA history), featuring all of the latest technology and trends in the specialty imaging marketplace. More than 24,000 people registered to attend the event featuring 562 exhibitors on the sold out Expo floor. Steve Webster displays the Canon PRO-6000S printer at work with Sunset by Fredrix Matte Canvas. 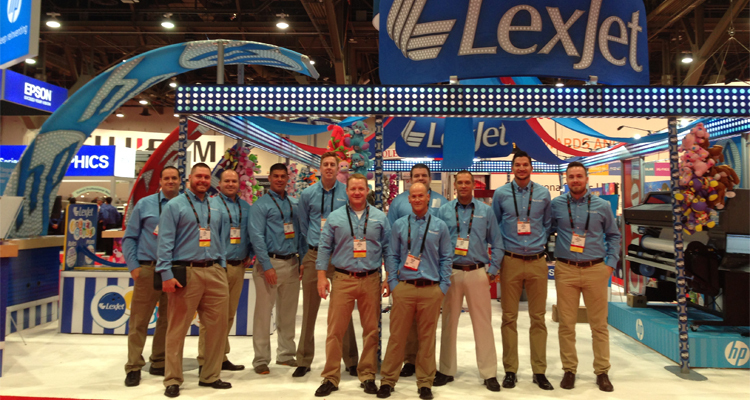 In the LexJet booth, attendees were introduced to the latest printer technologies from Canon, HP and Epson. 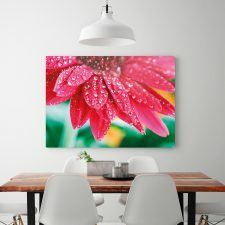 The LexJet team provided lots of industry knowledge along with details on popular products and workshops featuring canvas wraps with GOframe, adhesive photo panels and HP PVC-free Durable Smooth Wall Paper. Oberon Printing, based in River Falls, Wis., recently acquired a local screen printing shop to expand the company’s capabilities and product offerings. Adding the new division, Corporate Apparel and Printing, gives the company’s customers a full range of print and promotional products from which to choose. Corporate Apparel and Printing, a division of Oberon Printing, River Falls, Wis., found a large-format inkjet solution to boost the quality of its acetates used for burning screens for screen printing with crisp renditions on LexJet Instant Dry Clear Polyester. “When the corporate apparel business came up for sale it really fit well with everything else we do. We were missing that piece, so it helps us fill out our portfolio and provide our customers with more options, like printed apparel,” says owner Rob Payne. The trick was to bring the screen printing process up to the level of print quality Oberon has built for its inkjet applications, which includes everything from commercial graphics to fine art and photo printing. The answer was simple: find a better way to make film negatives and positives so that the screens created in the four-color screen-print process would burn clean and true. Carey Masera, Payne’s printing specialist at LexJet, recommended LexJet Instant Dry Clear Polyester as a possible solution. Payne adds that they often had to print two or three acetates for one color separation and line them up to get the density needed to burn the screen. With Instant Dry Clear Polyester, Payne says they only have to print it once and it’s ready. “Carey helped us a lot with just this product recommendation. He’s the only one who really follows up and seems interested in our business. We don’t get that level of service from other vendors, and we’ve been very happy with LexJet in general,” adds Payne. 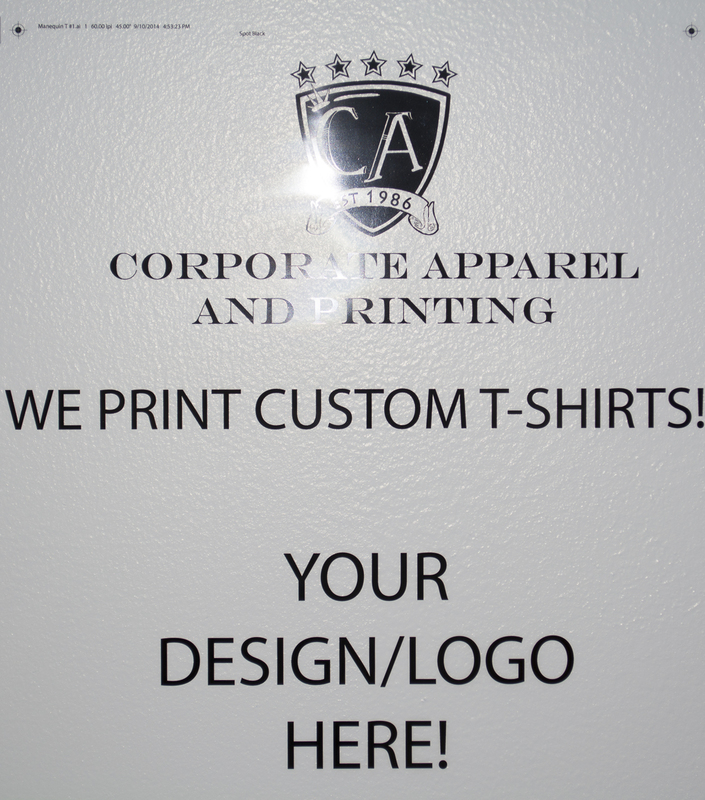 The majority of the screen printing at Corporate Apparel and Printing is done on t-shirts, hats, jackets and other apparel, with a smattering of high-volume banner and poster printing, as well as the more industrial application of printed circuit boards. Muddy feet certainly do leave an impression and the muddier the feet the more impressions you leave. That’s Todd Dofflemyer’s philosophy, figuratively speaking of course, where the mud his company gets its feet dirty with is the diversity of products it offers its customers. Dofflemyer, owner of Muddy Feet Graphics in Harrisonburg, Va., has an extensive history in the commercial printing world; he was instrumental in bringing one of the world’s largest commercial printers into the digital world from analog back in the 1980s. When he struck out on his own less than two years ago, he combined his experience in innovation with a studious view of trends in the graphics market that has helped Muddy Feet Graphics grow quickly in a short time. Muddy Feet Graphics used Simple Flo Wrap Vinyl, laminated with Simple Flo Wrap Gloss UV Laminate for an easy and ecomonical fleet project. 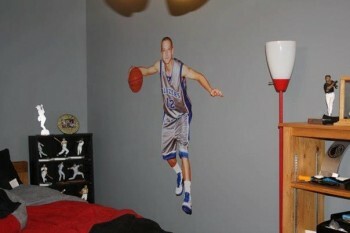 “We call ourselves a graphics company and not a sign company since we can put a logo on just about anything,” says Dofflemyer. 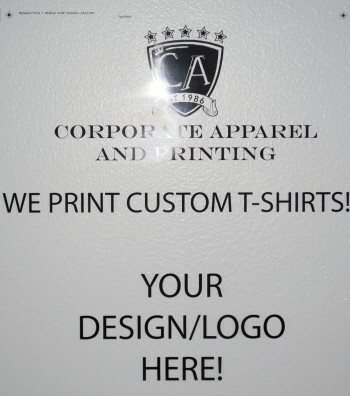 That’s why printing t-shirts is an important component of Muddy Feet Graphics’ business. 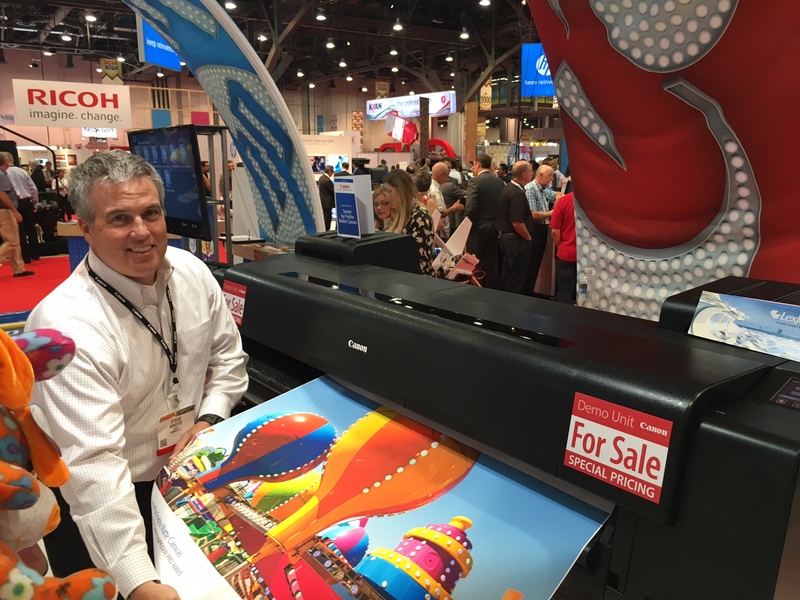 Though it represents only about 20 percent of the company’s production, it feeds the large-format graphics and sign side of the business and vice-versa. Muddy Feet Graphics does not screen print, but instead goes direct-to-shirt with an AnaJet direct-to-garment inkjet printer. This process allows short, on-demand, custom runs that t-shirt printing has been trending toward over the past few years. Another area where Muddy Feet Graphics is making inroads thanks to its logo-on-everything approach is vehicle graphics. Vehicle wraps have been slower to arrive on the scene in Virginia than hot spots like California and Florida, but once local customers saw the advertising value of it, more jobs began to roll into the shop. “If it’s $2,500 for a vehicle wrap and you spread it across four years, the average lifetime of a fleet vehicle, it comes out to about $50 per month. Then, compare that cost and the overall effectiveness of a moving billboard to other media with less visibility and the price is easier for the customer to accept,” explains Dofflemyer. Another trend that Dofflemyer has noticed and responded to is the more temporary nature of the requests that come through the door. For a recent bus wrap, Muddy Feet Graphics used a removable vinyl for the body of the bus and LexJet Simple Perforated Window Vinyl (60/40) for the windows. “We used a removable vinyl for the bus project since the message will change regularly, and we used the LexJet window perf because we were having problems with the other window perf we were using. Todd Dofflemyer, owner of Muddy Feet Graphics, says he's found the perfect wall mural material in LexJet Simple WallCal (6 Mil). No matter how long I let it sit it was transferring to the unprinted area of the window perf and we found the LexJet material applies easier and I don’t have a problem with the ink drying,” explains Dofflemyer. “Now it seems that everybody wants a message that’s tailored to today that could change tomorrow. 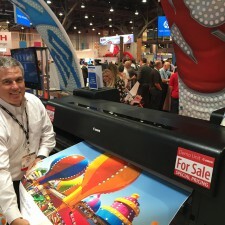 And that’s good news for everyone in the large format graphics market. Additionally, Dofflemyer has noticed that clients are including a QR bar code on more of their printed pieces to take advantage of smart phone technology. A banner can serve a dual purpose of getting a quick look-at-me message with a QR code that takes the curious to a website with more in-depth information. “Digital graphics can be distributed in all kinds of ways and we’re finding that more and more of them are simply avenues to your phone,” says Dofflemyer. With its focus on blending printed and purely digital technologies and being ever cognizant of what its customer base needs as progress makes its forward march, Muddy Feet Graphics is poised to make good on its tagline: Make an Impression, Leave a Trail.